I've never had any trouble keeping a secret, but for my purposes tonight I have to do this just once, so let me let you in on this lovely hidden gem. If, in the days to come you do visit this little sanctuary, remember it was me who told you one of the best kept secrets in the vicinity of the Singapore Botanical Gardens. This secret is The Dunearn, a warm and unpretentious culinary haven housed within a quaint colonial bungalow. 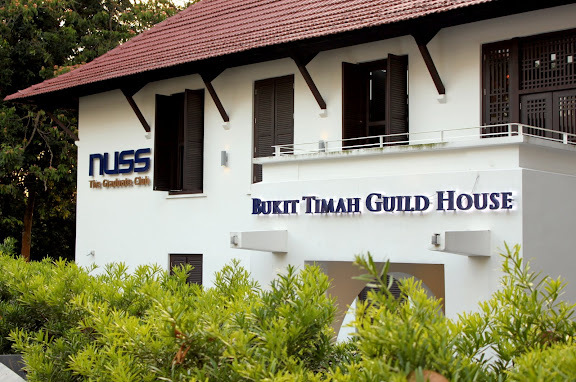 This bungalow also happens to be the newly-restored NUSS Bukit Timah Guild House, and is a place so wrapped with an air of history and beauty that is testament surely to its architectural heritage honours. While part of the NUSS Graduate Club, which I myself will be joining very soon this year, The Dunearn is open to the public and to anyone who loves food. So if you're looking for a peaceful evening away from all the hustle and bustle of the city, let this be your getaway. 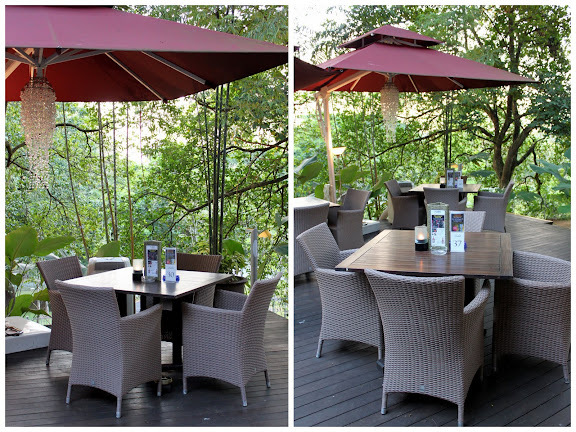 Here at The Dunearn, be pampered by comfortable (read: air-conditioned) seating indoors, or better, get close to nature and be surrounded by the lush greenery of the Singapore Botanical Gardens at the pretty patio outside. At nightfall, candles and hanging lights adorn this enchanting private spot, giving it a tranquil and rustic charm. Lovely indeed. 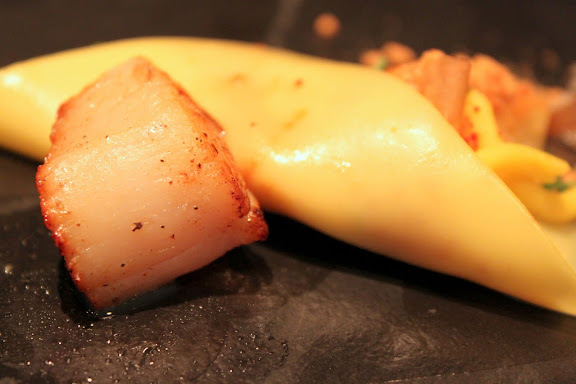 With the kitchen helmed by a chef who was once with the well-known Les Amis Group, it is always understandable if you find yourself having heightened expectations for what you are going to be served. 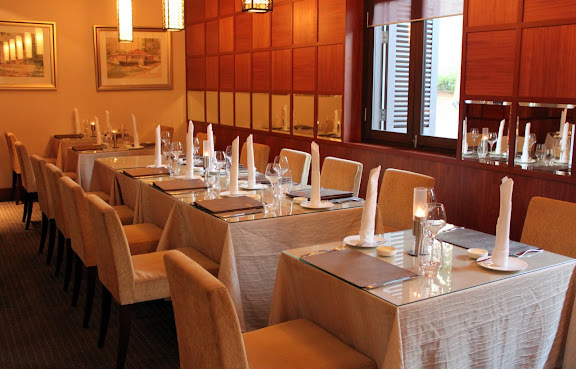 The Dunearn offers contemporary European cuisine with a good selection of wines, and for those who also believe in pairing good food with value-for-money meals, fret not, this is the place for you. 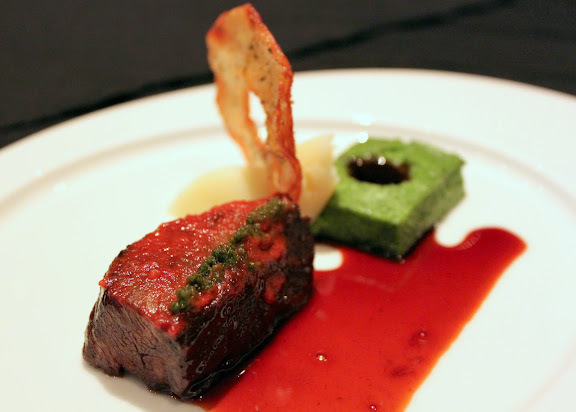 The executive five-course set dinner menus change monthly (another reason to keep returning!) and are reasonably priced at $39.80++. 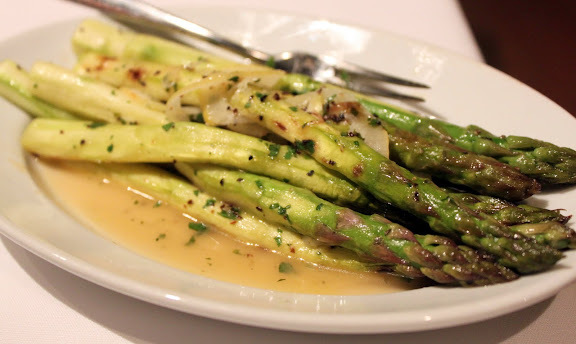 I've actually just taken a look at the newly released menu for the month of March, and I already hear the baked salmon and braised lamb shank calling my name. Drools. But before I get to that, here's what I had for February. Wrapped like a baby, the foccacia bread arrived warm and freshly toasted, the way breads should be and the way I like them to be. 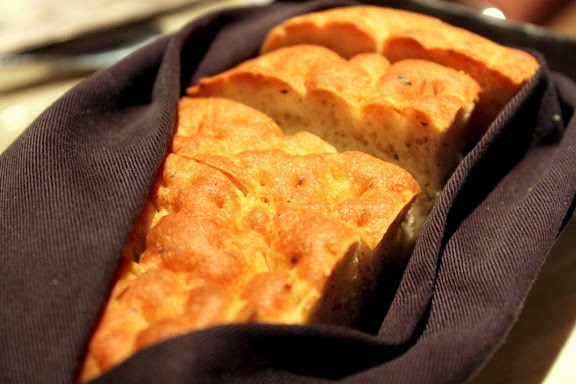 The wafting aroma of the herbs from the bread was enough to get me all hungry, and for once I was happy my dining partners wanted to save space for the dinner to come. It only meant more bread for me. Veggie lovers would simply adore these little parcels of goodness - sweet bull tomatoes and savoury mozzarella cheese encased in thin but juicy slices of lightly-grilled aubergine. Flavoured with aromatic olive oil, drizzled with basil pesto and adorned with bright-coloured fresh greens, this is definitely one amazing appetiser for the senses. This French-inspired soup drew compliments from me from the very first spoonful, and in it alone I could taste the effort that went into it. 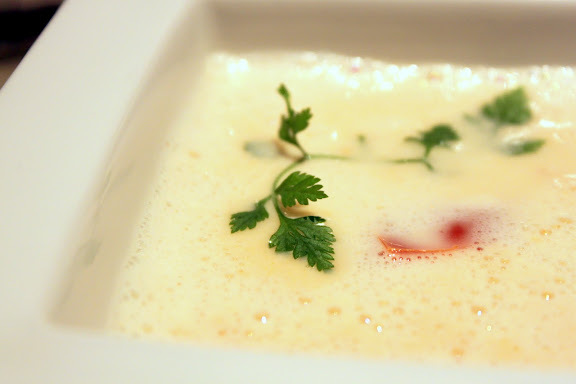 While it looks deceivingly simple, a simple check on an online dictionary revealed that a velouté is a "white sauce or stock made by boiling down ham, veal, beef, fowl, bouillon, etc., then adding soup stock, seasoning, vegetables, and thickening, and again boiling and straining". I did not expect to find crunchy prawns and chunky fish meat for a soup appetiser, but this is what I had nonetheless and you can say I was impressed. The soup was creamy without being overly thick, as a velouté is meant to be, and I finished this to the drop. Some pretentious fine-dining restaurant may serve this to you as a main course and at an exhorbitant price, and it may not even taste good. The Dunearn however, served this as an appetiser and is really, true to my heart, a very well-done dish. 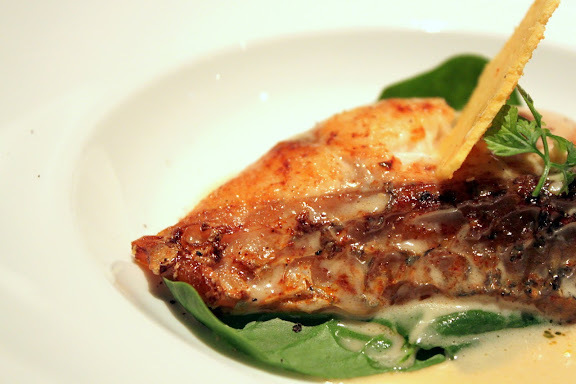 The cream sauce and slice of parmesan were perfect complements to a generous cut of fresh sea bass, a three-way intimate affair of the smooth, the crispy and the juicy. 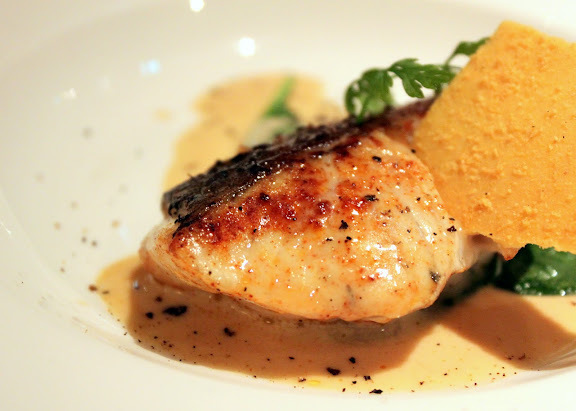 Good-tasting things always deserve another look on this blog, and here's another shot of my delicious sea bass. Roasted to a nice pink, the fish was firm to touch but inside it was fresh and moist throughout, with that umami sensation at every forkful. I wouldn't mind having this as my main course really. In the Italian Renaissance, the intermezzo was a theatrical performance made in between the acts of a play to celebrate special occasions. Here at The Dunearn, it came in the form of a little cup of delicious green apple sorbet that tingled my tastebuds and made me drunkenly wish this was dessert - could I have more of this please? Like the real intermezzo, it's an extraordinary trumpet call to tell us that we're (finally) done with appetisers and that it's time we bring in the much-awaited main courses. Ladies and gentlemen, our three celebrities for tonight. 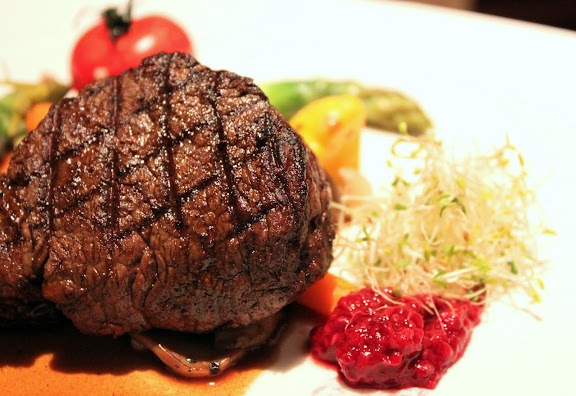 Everyone who reads this blog frequently enough knows I love my beef. The pretty vegetables that usually decorate the plate (like this adorable tomato on the left) are often secondary to me, but I do like the way the vegetables here are boiled to softness, especially the baby carrots. My fillet mignon was good, admittedly dry on some parts (in retrospect then, I should have asked for it to be medium-done) but I made do with thinner slices and am still a satisfied man. I also appreciated the sweetness of the raspberry confit since I do not often eat steaks with it and this was a refreshing change. 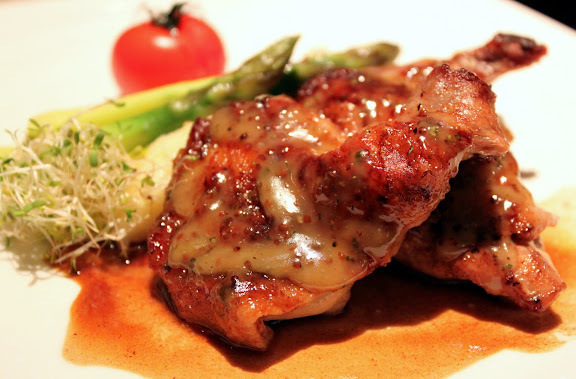 This excellent game bird was baked to wonderful tenderness and was much praised and raved by the dining partner Glenn. Like most of the dishes tonight, here was another good balance of tastes, as the delectably sweet honey mustard sauce paired unexpectably well with the garlic-flavoured mashed potatoes. In honour of the gallant spatchcock and the chef's skills, I confess I threw out any well-respected doctor's advice and gamely ate the chicken skin - lightly crisp with that burst of marinate. Sinning has never tasted this good. This was not on the set menu but rather from the ala carte menu which my other dining partner Hui Yuan ordered from, and I could tell she was most satisfied with the lemongrass broth. The lemongrass added a familiar Asian hint of aroma and flavour to the dish and combined nicely with both the colourful array of diced vegetables as well as that generous slab of garoupa. Hui Yuan preferred our sea bass appetiser to her garoupa however, adding that the latter was a tad too overdone for her liking. 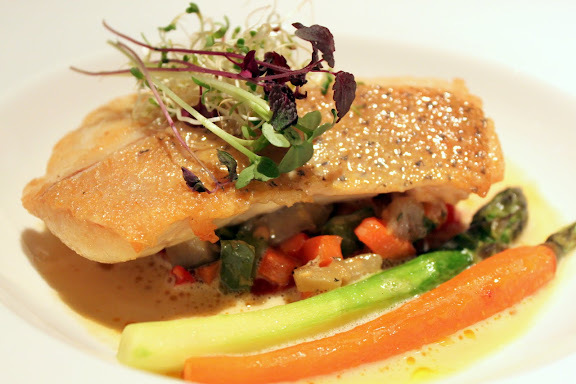 The roasted sea bass, a starlet of the night indeed. After a brief interlude of hot coffee and tasty biscotti, this arrived on my table like a gift from the heavens (cue: choral voices and harp tunes). 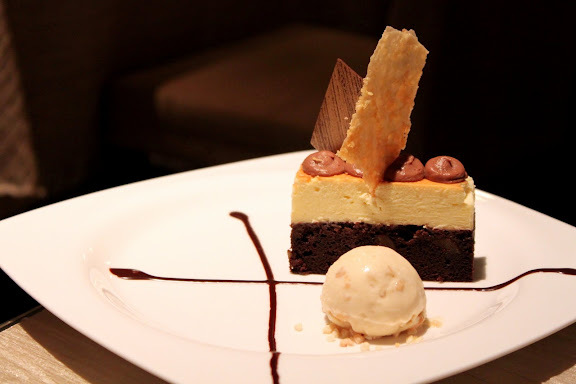 I wanted a brilliant wrap-up to what has already been an inspiring dinner and asked for my dessert to be changed to the double-baked brownie cheesecake. Was it any good? Yes, it was, and I'm getting all hungry typing this post at one in the morning. The smooth and slightly thick cheesecake found its pair in a chocolatey brownie, with bits of nuts in it that I simply adore. It would have been even better if it was white chocolate cheesecake with caramel brownie, but then that's actually more of a sin-list than a suggestion. I really, really fancied the macadamia nut ice-cream too which was milky, sweet and nutty. Dinner hit the finale note with this loving duet of sweet and sour with hot and cold, and again reveals the remarkable balance that this kitchen has orchestrated the entire night. 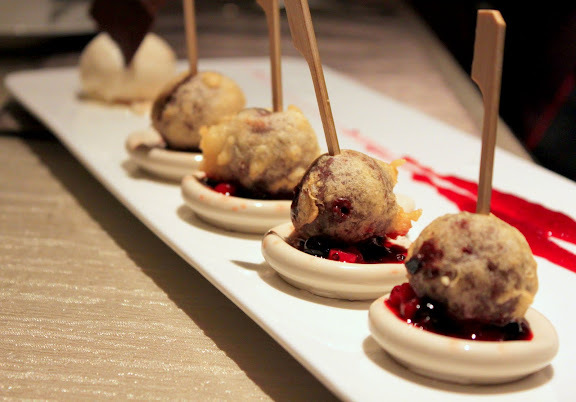 Imagine crisp, battered chocolate balls with warm, flowing Valrhona chocolate spilling out at a small bite - decadent, and matched with a gently sour raspberry coullis for that welcomed twang. If that's not already enough sensory romance at work, mix the warm chocolate with cold vanilla. Thank you, for bringing me to heaven and back in one night. Service here was excellent, the wait staff was always eager to help and regularly filled our glasses. I like it that they were frequently close-by without being intrusive. 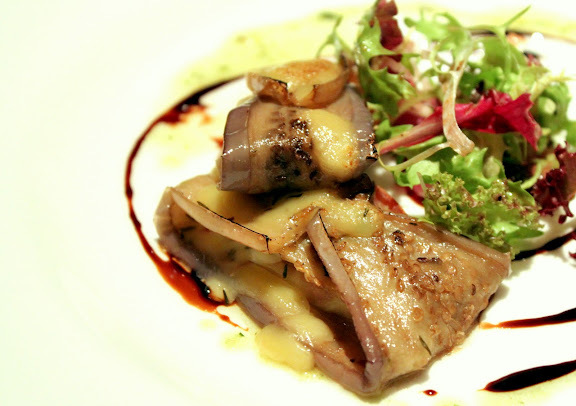 $39.80++ for an executive five-course set dinner. A fee of $5 (50% of actual price) was charged for a change of dessert. 1F Cluny Road, NUSS Bukit Timah Guild House. Situated within the NUS Bukit Timah Campus. 1. "Veloute", http://www.thefreedictionary.com/Veloute, last accessed 28 February 2010. 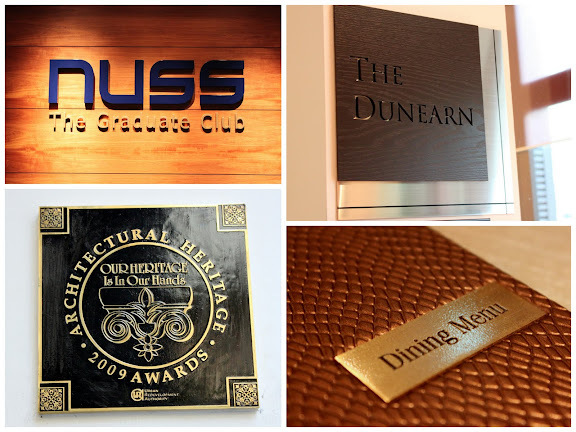 This blog post is an entry for the NUSS-BTGH Best Blogger Contest, though the author has tried his best to be as objective and as honest as possible. He hopes you will have an equally enjoyable and memorable time at The Dunearn and invites you to share your experience here. 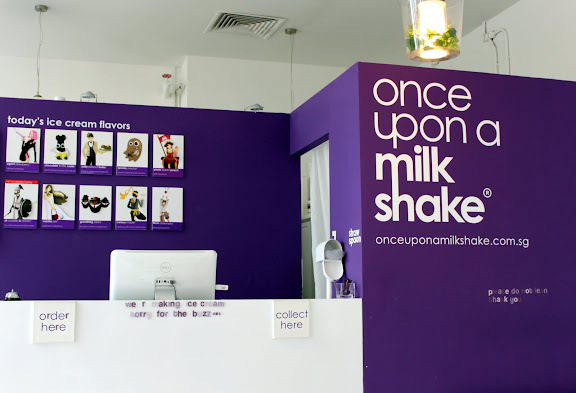 Admittedly, I've never meant to blog about Once Upon A Milkshake (or OUAM as it's more affectionately called) until I've tried at least a range of its milkshake flavours. 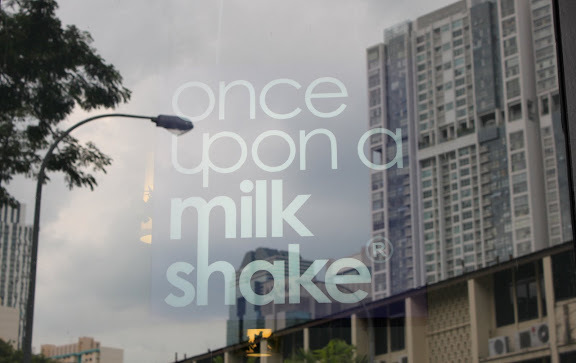 This post is actually just temporary and only really to entice (and remind) Ms Angeline Li about our milkshake outing. With the weather this warm lately, I'm having a milkshake craving almost every minute. 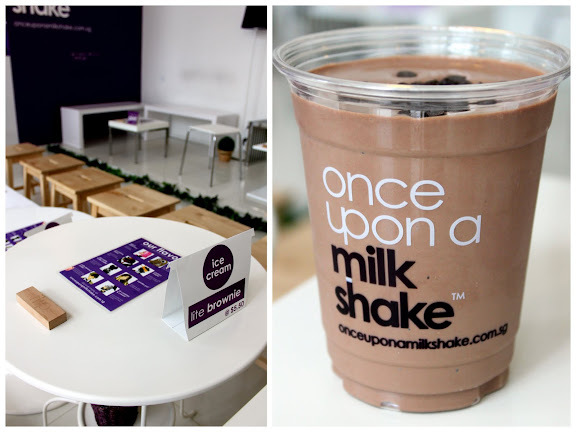 The last time I was here, I had the Chocolate Truffle Castle, a chocolatey-good milkshake with chocolate truffle bits that would send any chocolate lover straight to chocolatey heaven. Yes, five "chocolate" words on purpose for that added oomph. I loved it, and I want more of it. Of course, there's the other equally enticing flavours like Agent Strawberry, Pirate Queen Peach and Sir Cookies & Cream. Till then however, I can only wait and dream about this delicious fairytale! $5.50 for a regular milkshake. Maxwell Chambers, 32 Maxwell Road. 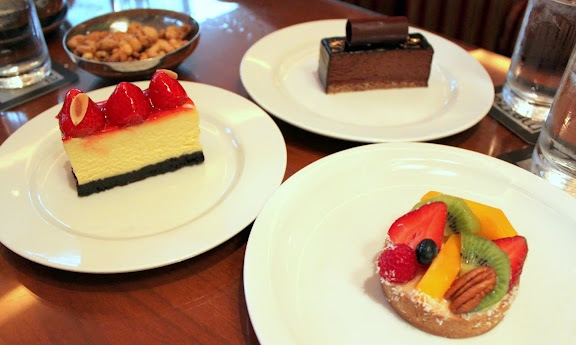 Desserts as the third and final feature of this mini series on Grand Hyatt Singapore. 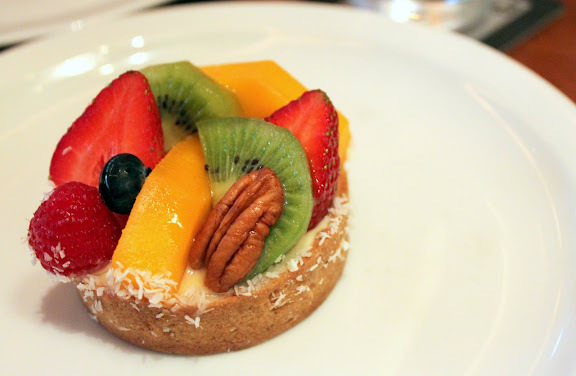 Well who knows, there may be more to come on Hyatt in the near future, but till then here's just a brief look at some of the little sweet treats on offer at the Mezza9 Deli. Overall, I found this passable. The base's crust was a bit too hard, but at least the custard inside was smooth and eggy, the way I like it to be. No comments on the fruit slices though, they weren't exactly sweet to begin with. 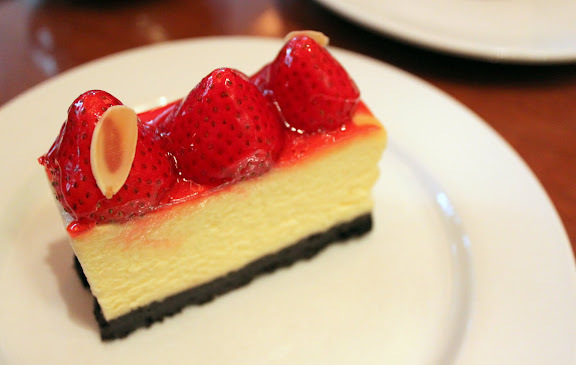 The cheesecake was a little bit too dense, and the awfully simple way that the jelly and fruit layer is placed on top (comes apart from the cake easily too) makes this quite ordinary and uninspiring. 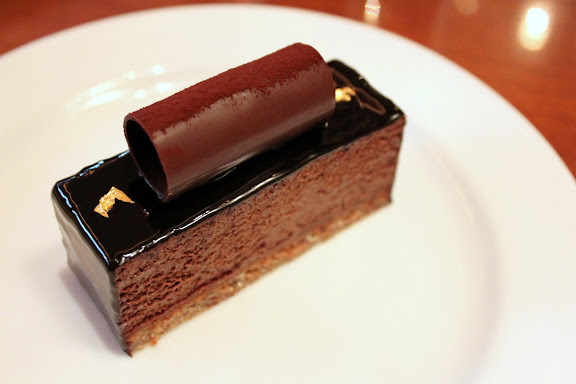 Of course, who can go wrong with the typical hazelnut praline cake, and here Mezza9 delivers on expectation and doesn't disappoint as well. I liked the way the thin sliver of dark chocolate complemented the milk chocolate mousse in the centre, and of course how these smooth textures balanced the crispy hazelnut feuilletine base. While the cakes here at Mezza9 Deli are great for takeaways, you can always have it in the comfort of the Martini Bar with some drinks to go along with your sweets. As a word of caution though, if you're somehow inclined to order their "mini burger" ($9++), be prepared that it comes in an awesomely tiny (single) portion, the type where it should normally come in a trio than by itself. * Prices subject to the usual 7% GST and 10% service charge for dine-in. 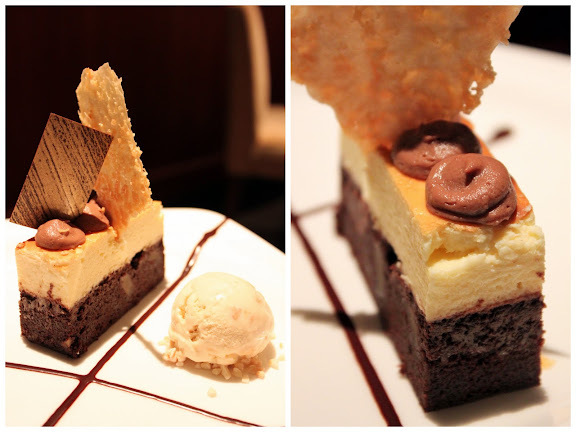 The second of a three-part series on Grand Hyatt! 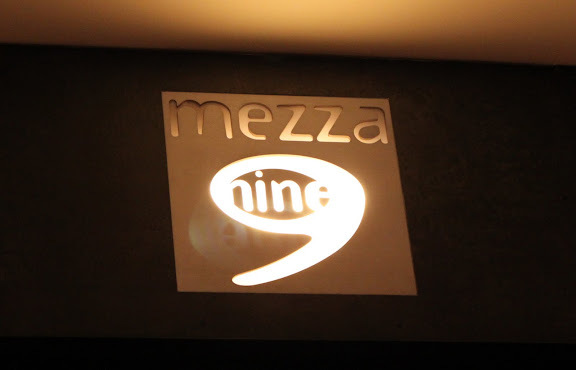 Mezza9 is another one of those "old-school" restaurants that still has its loyal following amongst not just returning tourists but with Singaporeans as well, especially since it manages to offer Chinese, Thai, Japanese and Western cuisines all under one location. 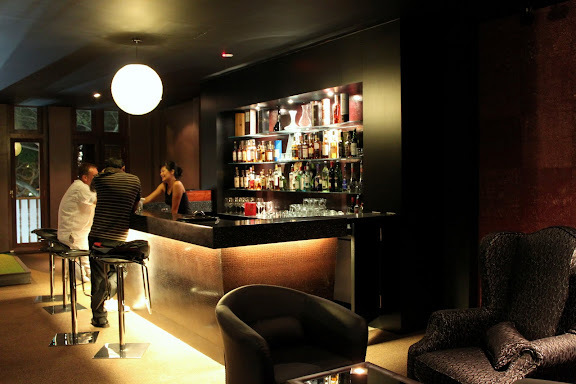 There's a warm and relaxed feel to this place, nothing pretentious about it, with good service all around. Makes for a pleasant dinner with the dinner buddy Glenn. Unlike the bread bar at Pete's Place where the breads were left there to turn cold, here the bread was served warm and was lightly crisp on the sides. 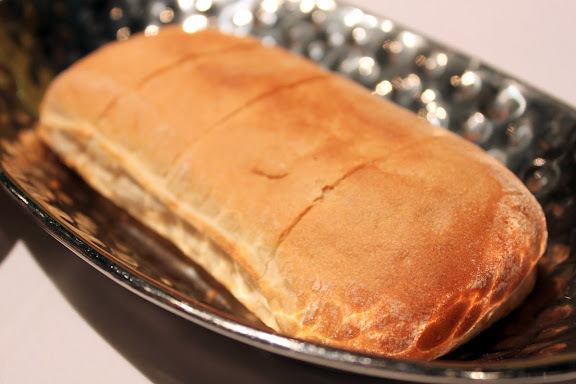 It's simple bread just to get you started and warmed up for dinner. 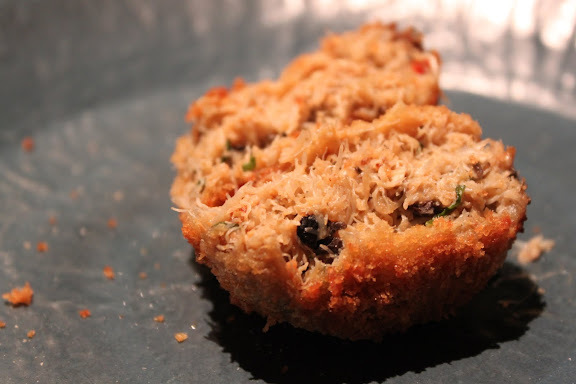 Definitely one of the better crab cakes that I've tried, and also one that really makes a point to prove it uses real crabmeat - snow crabmeat from Southeast Asia to be precise. 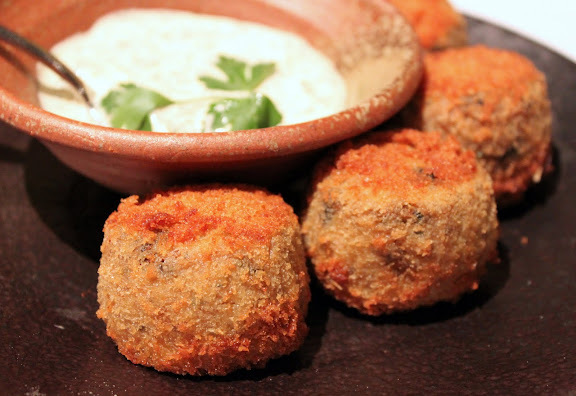 It's served with rémoulade, a kind of French tartar if you like, that has capers in it and even an Asian hint of lemongrass. 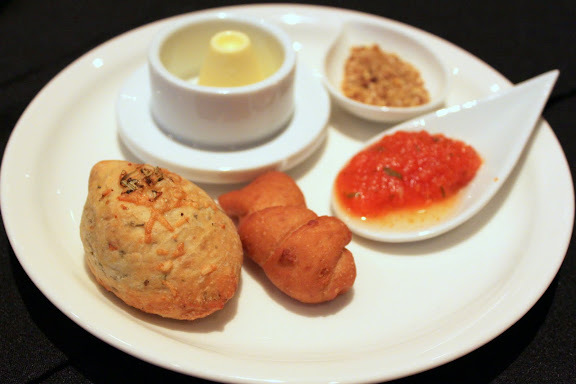 The crab cake on its own was already very flavourful, with herbs and spices to tantalise your senses. This was my side order of baked potato with chives and sour cream. 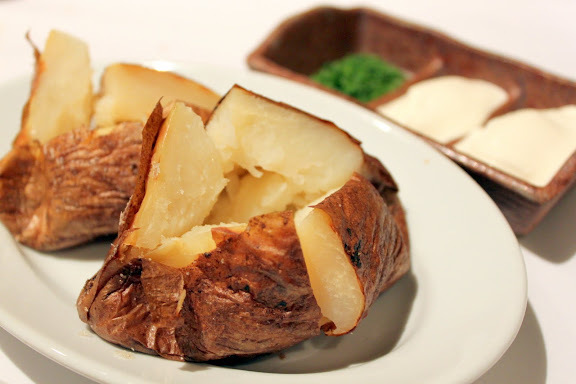 I can't really say much about this because it's really just plain baked potato! It does come with bacon bits but no, not for me. If my baked potato looked boring, this would be even more so. Fine, I'm biased against greens. Glenn's order, served with parsley and lemon confit. A real man would never say "no" to his red meat (yes, I'm trying very hard to justify my immensely carnivorous appetite and diet) and having had so much beef lately I turned to lamb this time. I was so hungry staring at this when it arrived that I hurriedly took a couple of pictures and got ready to eat, completely missing the point that I should be taking the whole bone as well for a good picture of a shank. Then again, who cares, I'm hungry! The meat was pretty good, but at some points it could be less tough and dry. Somehow or another I still think the lamb shank from Cafe Oliv is tops in terms of tenderness, with the melt-in-your-mouth umami kind of feeling. This, I thought was quite awesome. Looks like grilled chicken, and actually almost tasted like grilled chicken as well on the first small bite! 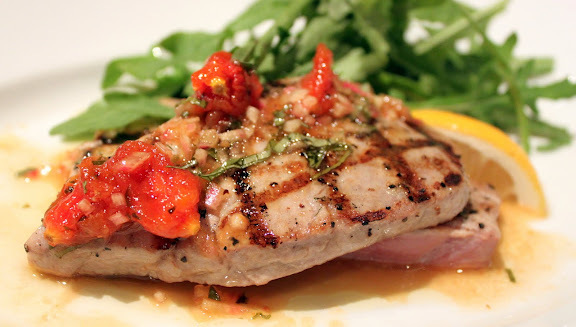 But no, this is a tuna steak, well-grilled with its flesh still pink, fresh and tender. One of the house favourites I realised, quite a few diners around me were having this as well. Mmm... 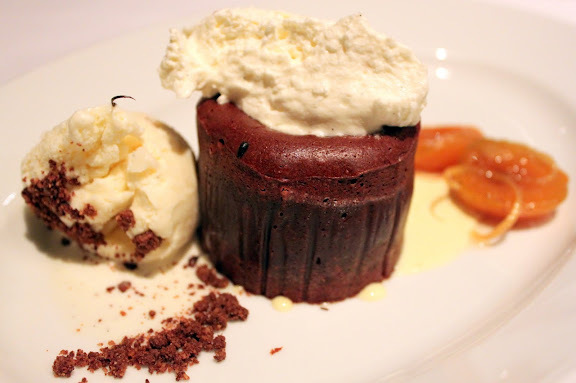 Warm chocolate cake with hot chocolate lava inside, my kind of thing definitely. Good quality chocolate too, very thick and rich. Thing is, since it's this rich, it could do better with not one but two scoops of vanilla bean ice-cream! 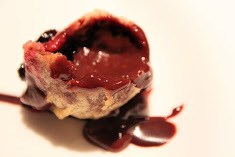 I didn't like the apricot compote much though, but I know it's really to balance the sweetness of the chocolate. All-in-all, still a little bit pricey, and would be more worth the money with another scoop of ice-cream. Surprisingly, Glenn enjoyed his boring-looking crepe, which happens to be quite popular amongst diners here. 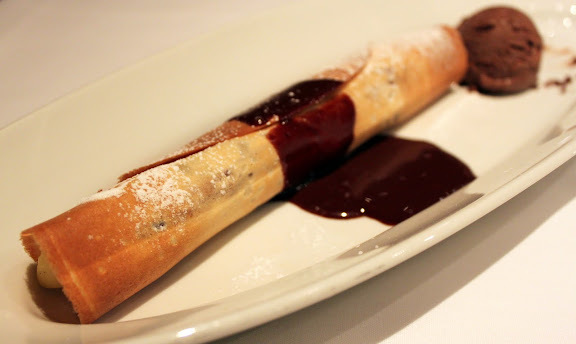 Served with a complimentary scoop of chocolate ice-cream. Excellent. Constant refilling of your glasses with iced water, even when you tell them it's enough. Grand Hyatt Singapore, Level 2. 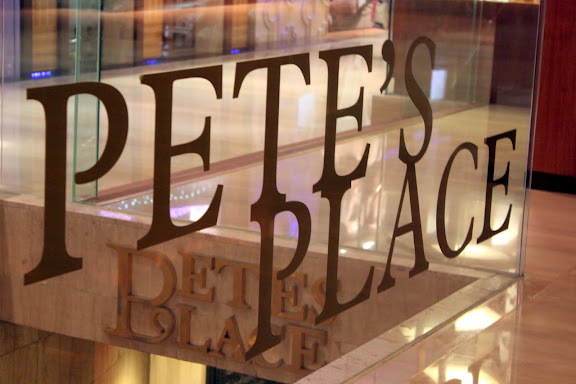 Pete's Place is the first of a mini three-post series on Grand Hyatt, and it was also the location of choice for one of my weekly dinner affairs with the dinner buddy Glenn. 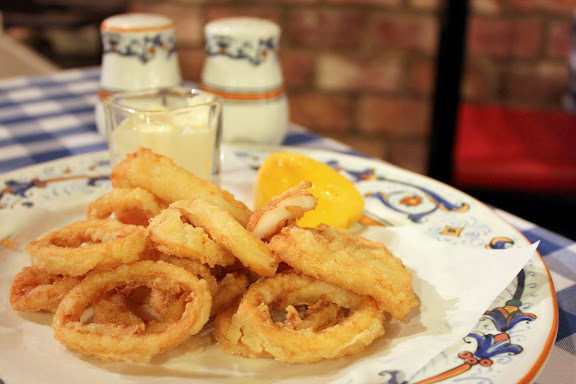 I like the homely, cosy feel of Pete's Place, it certainly isn't as pretentious as some of the other Italian (fine-dining) restaurants, and there's a certain rustic atmosphere all around that I find most pleasing. If there's a particular type of Italian restaurant that I would be looking for during my graduation trip to Italy in May, this would definitely be it. Hungry Glenn ordered this as an appetiser but I was too full from lunch and teatime that I could only allow myself a couple of calamari rings. I found them alright, nothing to shout about and fairly decent. I didn't take a picture of the complimentary bread bar with its assortment of breads, though my complaint would be that most of the breads turned out to be a tad cold and tough on the outside. Maybe it's for jaw exercise before the main course. As I read the description for the Cioppino on the menu, it sounded almost too good to be true and got me so hungry. And when it arrived, I almost squealed with delight, but I kept my composure and tried to take a couple of pictures, holding myself back all the while from going straight for that delightful-looking plate of pasta. 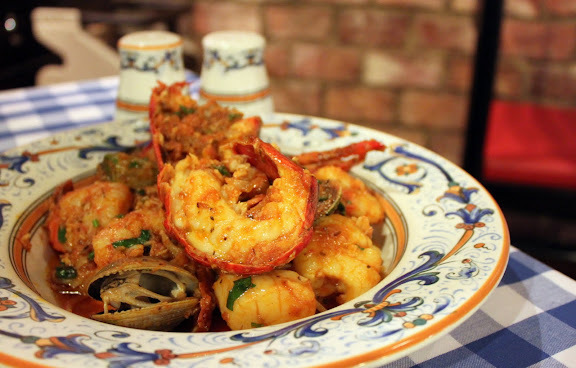 Generous portion of seafood ingredients indeed, with a meaty half lobster and a few big and juicy tiger prawns and scallops. Probably one of the best seafood pastas that I've ever had so far. 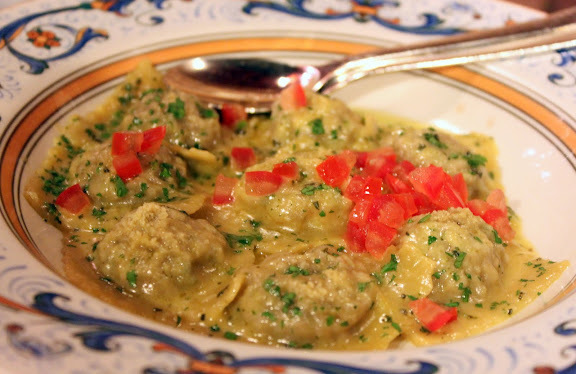 Glenn had the day's special, a serving of veal ravioli that was certainly more filling than it looked. He seemed to enjoy it quite a lot. The both of us shared this, terribly "romantic" as it is, but good food is meant to be enjoyed and hey this was really quite good stuff. 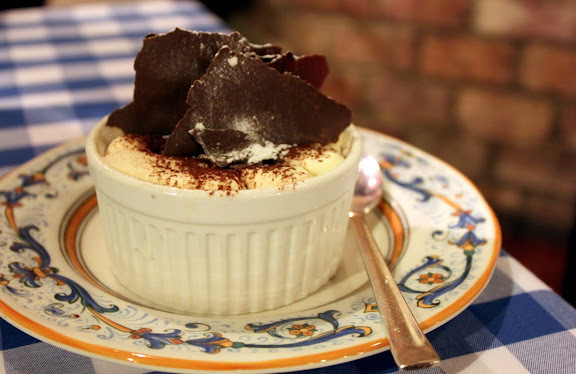 Sure, it doesn't have that heady alcholic "kick" as the one offered by Prelude at Fullerton's Boathouse, but this is somewhat of a more traditional rendition of the classic tiramisu that I particularly like. 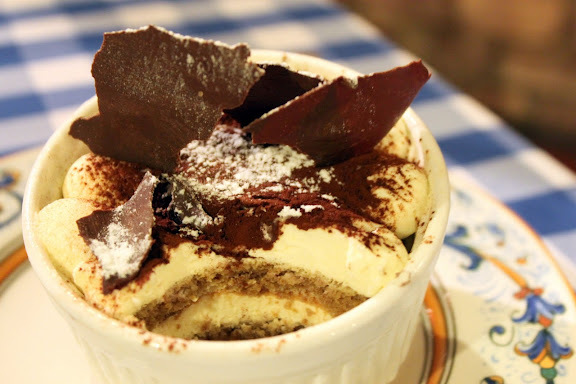 Admittedly, I've not had too many tiramisus to know what would make a superb one, but this still satisfied with a good balance and layering of sponge, cream, espresso and a (very) light hint of liquer. Very good, attentive and friendly. 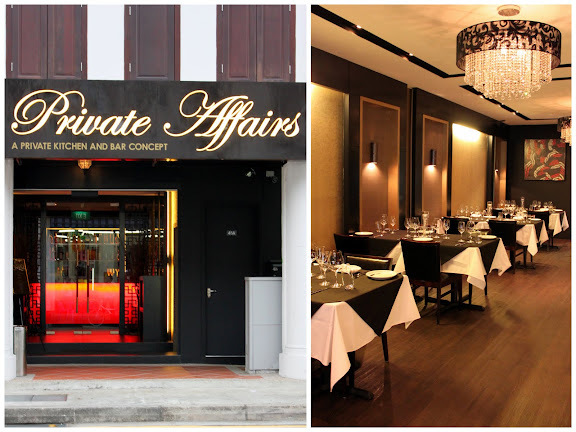 If you think about Joo Chiat Road and then mention "Private Affairs", what comes to your mind? 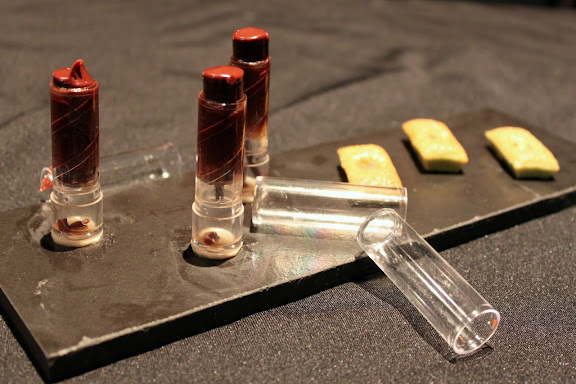 If you have not heard of this brand new fine dining restaurant, I'm quite sure food wouldn't have been the first thing that you thought of. It does seem like an unlikely place for an exclusive fine dining restaurant, but with the Singapore Tourism Board keen on improving the appeal of Joo Chiat, such a bold marketing tactic might actually prove wonders in the end. Fantastic for word of mouth opportunities too surely. 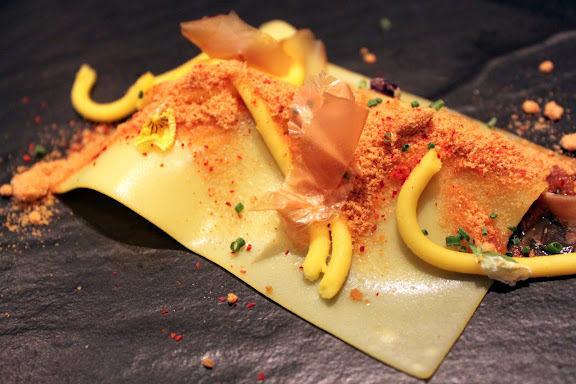 The kitchen of Private Affairs is helmed by Chef de Cuisine Paul Ng, who aims to showcase his skills and passion for delivering contemporary European cuisine with that special touch of Asian flavours. Other than whipping up the tastes in the kitchen, he has certainly impressed with his meticulous and unique food styling, though it does make the dishes almost too pretty to eat! Of course, such artistry has not made it easy for food photographers and I too may not have been able to capture the full and intended beauty of the dishes. 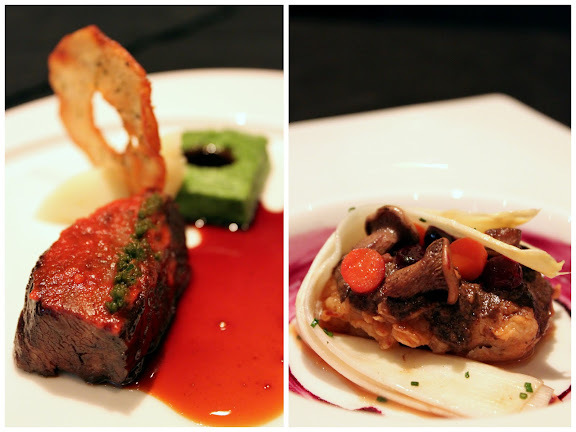 Still, kudos to Chef Paul Ng for the splendid effort. 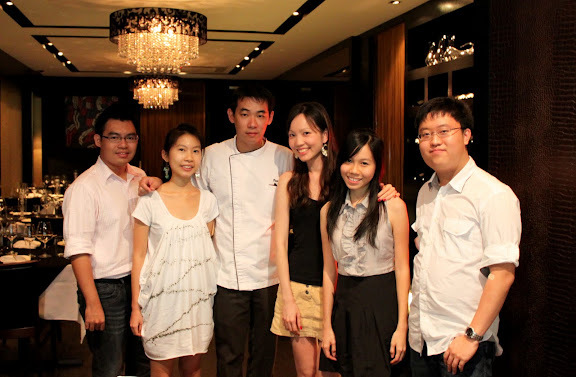 Dinner at Private Affairs was a "by invitation only" session courtesy of Ms Veronica, and here in the picture above you can see my merry band of food bloggers who were there with me as well. We also had the company of veteran F&B personality Ross Velantine Errol and owner Sharon, who were there to make sure we were comfortable and had a good dining experience. Normally I'd be happy with freshly (re)-toasted breads, but to know the breads are freshly baked for each diner is something not many restaurants do, and it's something I particularly like. 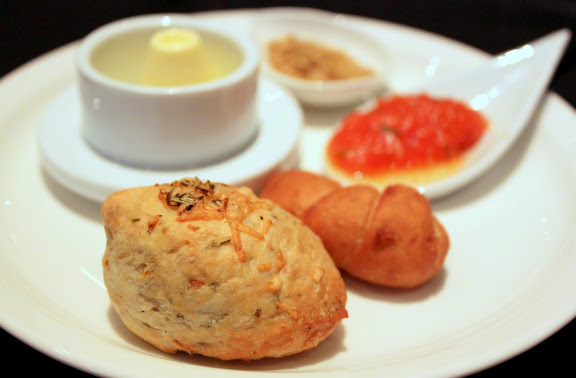 While the focaccia was soft and fluffy with a hint of baked cheese, the hazelnut roll on the other hand was slightly crisp on the outside and very light on the inside, almost like a fried mantou bun. I was very fond of the latter and had extra helpings of this little brown delight. Try as I might to appreciate this, the carnivore in me flatly rejected this after two bites. The horseradish meringue may be interesting and unique to some (the other bloggers actually wiped their plates clean), but somehow it had this hint of wasabi which I do not like. Since my system threatened a revolt, I pushed the plate away. Sorry, next please. 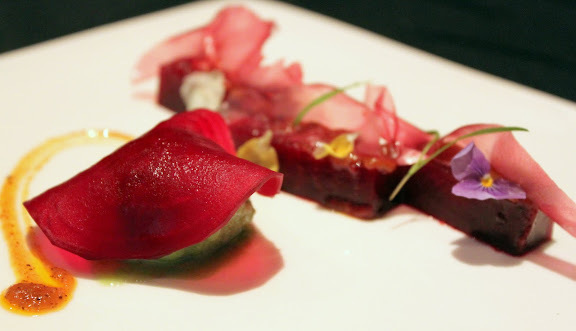 This second appetiser features thinly sliced French duck breast meat that has been "marinated with spices and sugar and cured in brine for three days before being air-dried". 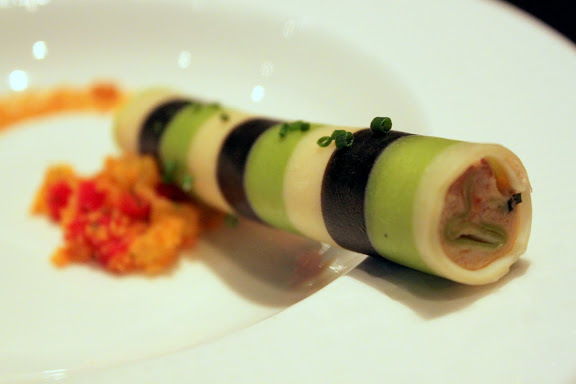 The equally thin slices of green apple and scallion gel livened up this dish with a hint of sweetness and reminded me of the Peking duck pancake and cucumber rolls served in Chinese restaurants. 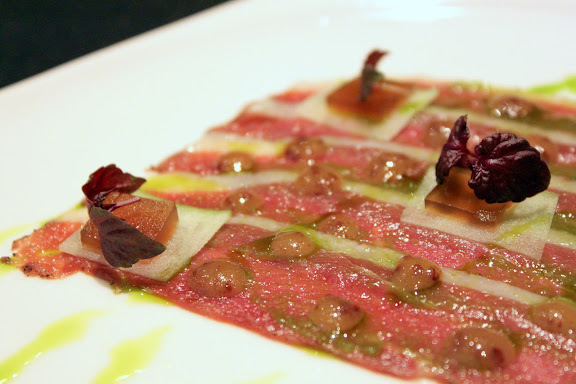 As it is, the duck carpaccio is best eaten rolled up with the apple slices and gel within it. Kaelyn, who doesn't eat duck, had this interesting appetiser that was especially pretty to look at. 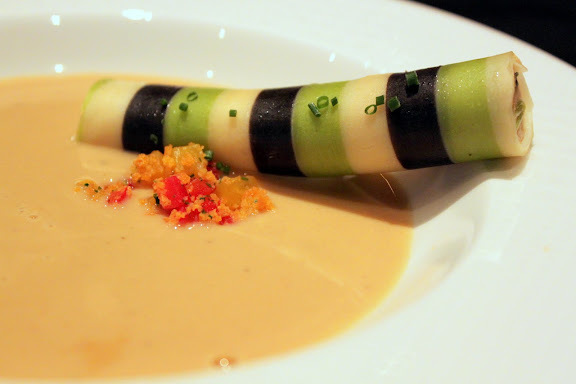 She adored the cucumber and green chilli sorbet that was a good blend of coolness and spiciness. Very unique indeed. 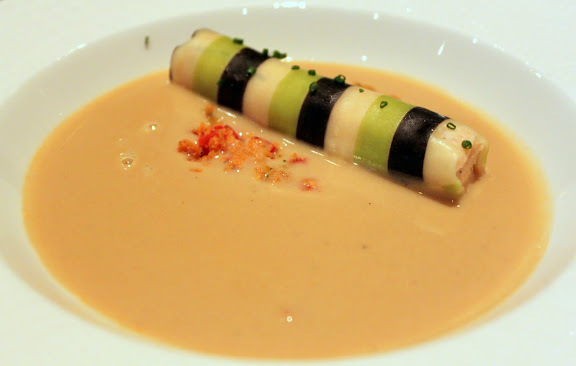 Our third course of the night has to be appreciated more in the fine details than just as a bisque as a whole. 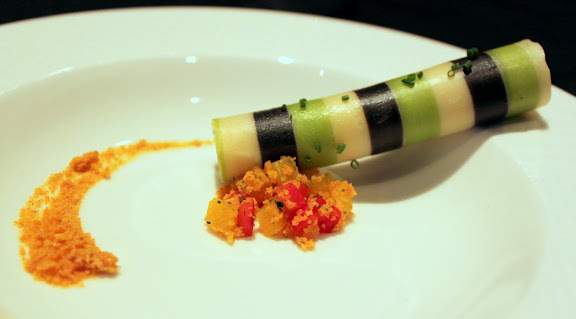 The white, black and green cannelloni, a combination of egg, spinach and squid ink pasta, was handmade and merged together seamlessly as a single roll. Encased inside is salmon and lobster meat flavoured with basil. The creamy and rich bisque meanwhile was made more flavourful by the lemongrass crumbs that gave it an Asian touch, taste and aroma. A personal favourite, this and my main course. Another pretty dish that my picture may not have done much justice to. I didn't fancy this very much because it had too many flavours trying to jostle for my (tastebuds') attention. We found the scallops a tad over-seared (not necessarily just because of the minutes spent on photo-taking), and a couple of the people at the table also found this dish a bit too salty for their liking. I do know the miso powder is scattered around the hot plate so that diners can mix it in according to their preference, but I would prefer a type of sauce instead to make this dish smoother and less dry. On to the main courses (course number five out of seven), and what yours truly, the meat lover, has been waiting all night for. I'm naturally biased when it comes to beef, and I love it done any way so as long as it's done well. 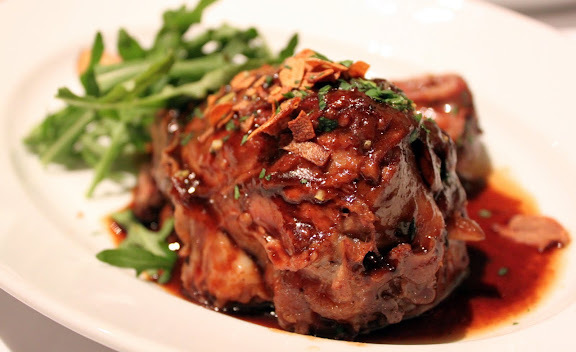 I enjoyed this tender cut of beef cheek that has been braised in aged port wine sauce and which gave it both texture and flavour. Interestingly though, and perhaps for the first time ever, something actually eclipsed the beef: the "kailan royale", a lovely blend of baby kailan, cream, butter and egg, with spinach for a bright green colour. It tasted immensely delightful even to the through and through carnivore in me (compare this to the vine-ripened tomatoes at the start!) and I dare say I would eat my greens everyday if it tastes as delicious as this mashed potato-inspired side. 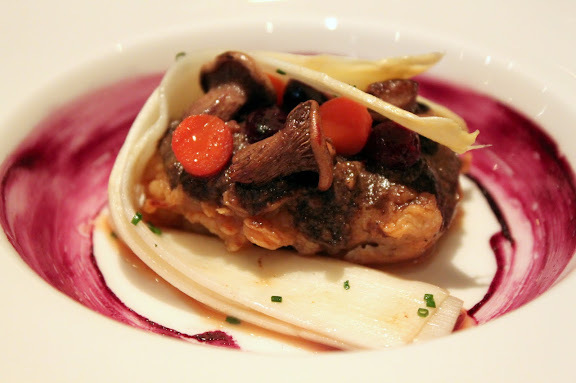 in fermented garlic and with oyster glazed purple carrot and white asparagus. 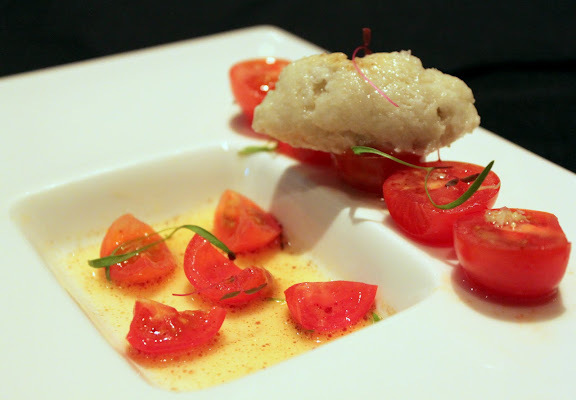 The two ladies at the table who don't eat beef had the monkfish cheek done specially for them, and I hear this is somewhat of a fish that needs some getting used to because its flesh is tougher than the usual barramundi or miso cod fishes that we are normally accustomed to. Somehow, the ladies still prefer their cod. 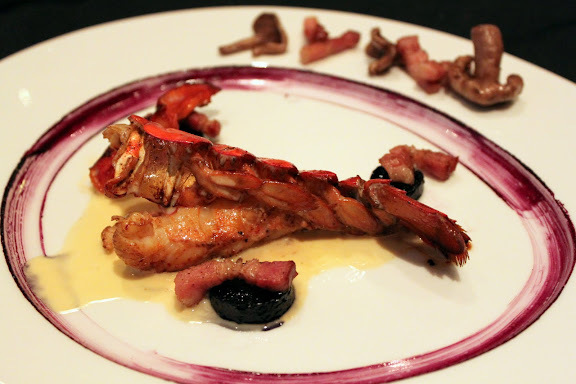 in Espelette jam with sauteed blue foot mushroom, lardoon and purple carrot paint, Alaskan crab and Cauliflower foam. 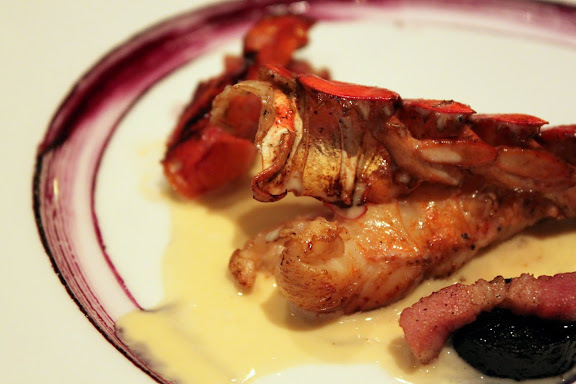 This was an experimental dish by Chef Paul Ng and was only served to Ms Veronica, and I could tell she loved it a lot. Not on the menu yet but perhaps in the next month or two. We were told that 10kg of mangosteens were used to produce just 400g of mangosteen puree espuma, and almost immediately my mind was screaming about how wasteful that sounds. Still, it's all part of the deal and the extract was indeed quite refreshing. 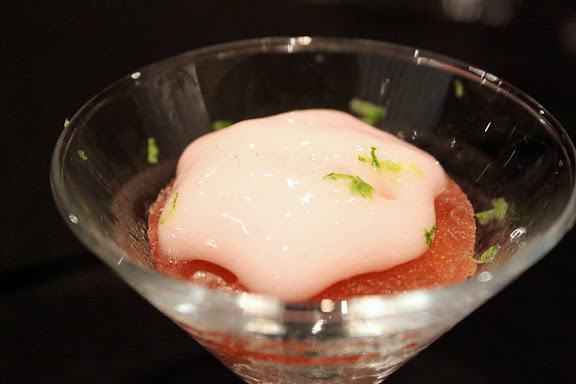 The lime granita, a semi-frozen dessert of sugar and water, did seem to overpower the mangosteen flavour though, and so I'm still wondering if that 10kg of mangosteens was worth it. Does this remind you of the ice-cream biscuit sandwiches from the ice-cream carts along Orchard Road or in your neighbourhood? It sure does to me. 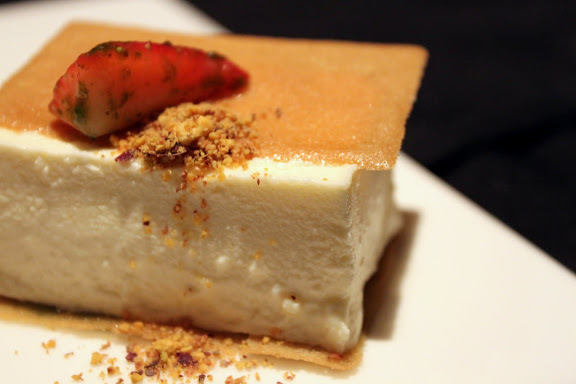 I really liked the way the soft and smooth cheesecake was made from fresh yoghurt, fine cream cheese, egg yolk, sugar and lemon juice (add in the embedded passion fruit coulis), a great blend of tastes surely. Full credits must go to the pastry chef for such a recipe. 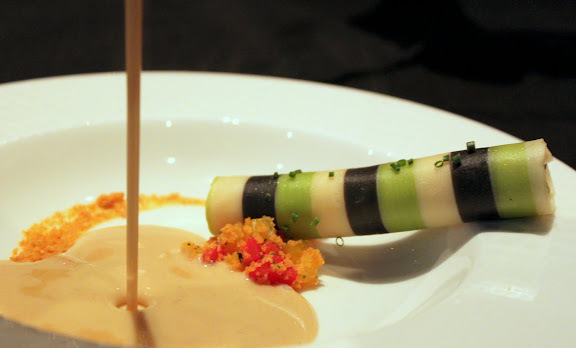 If seven courses aren't already enough, here comes the surprise eighth! 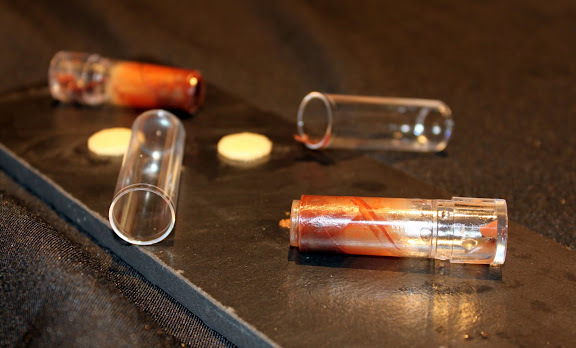 Specially imported from Europe, these lipstick containers sure got our attention. Eating the chocolate off them was also like eating those kiddy "push-pop" lollies, though chocolate is definitely more satisfying, at least to a chocolate lover like me. 55% dark Valrhona chocolate, yums. I would like to especially thank Ms Veronica once again for her special invite to Private Affairs, and thank you also to Ms Sharon and Mr Ross for their company that night. 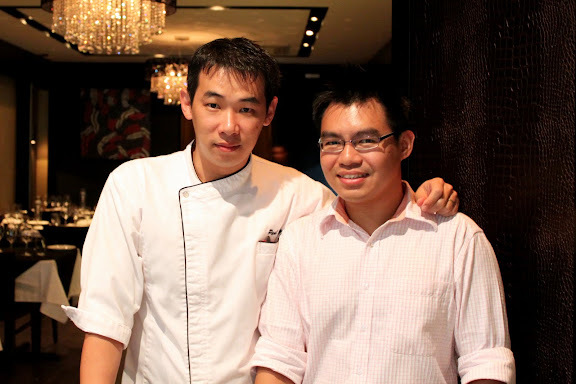 Last but definitely not least, thank you Chef Paul Ng for being so hard at work in the kitchen and I must say that I'm really impressed by all that thought and meticulousness that goes into your food styling. For menus, please click here.